Attempting to lift a heavy bag or box all at once may result in back injury. Can the heavy load be made into a few lighter ones? Can I safely lift it myself? Is the object too awkward for me to lift and carry alone? 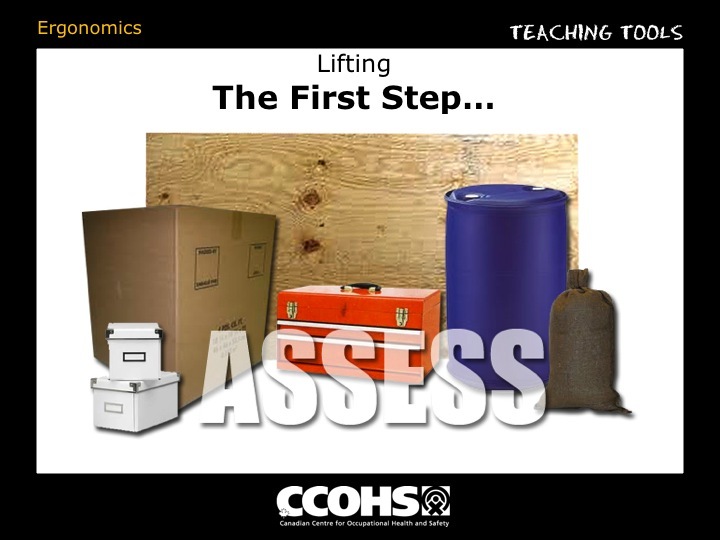 Will I have to move the object through stairwells, on uneven ground or through narrow passageways that will cause further safety issues? Is there a way to minimize the amount of lifting and carrying I have to do (i.e. Is there a device, such as a wheeled cart to use to carry the object)? LIFT by bending your legs, not your back. 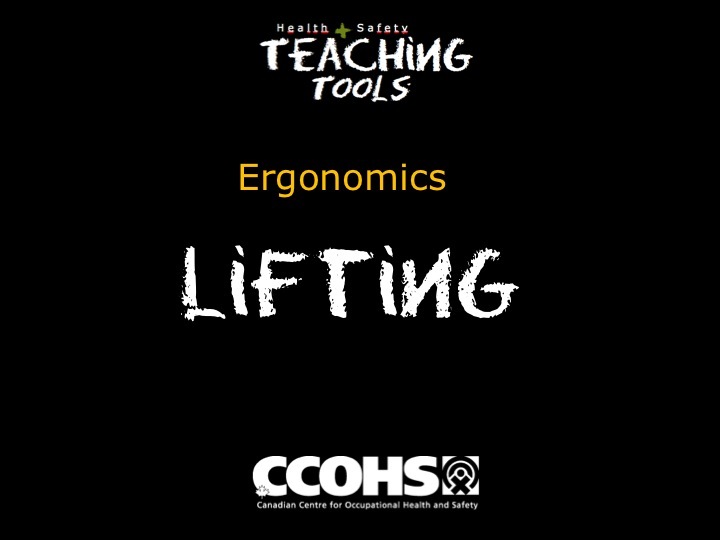 KEEP the object close to you (close to your centre of gravity to make carrying easier). USE handles if possible (better grip on object). GET assistance if the object is large or awkward (even if it is light). 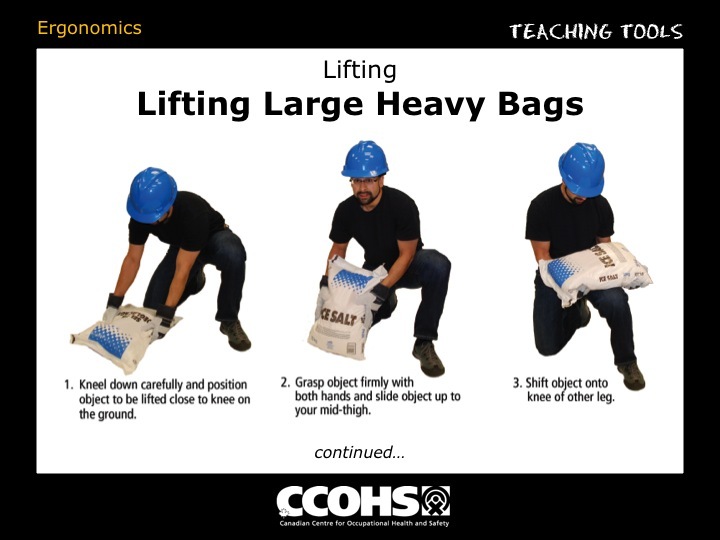 When there are no alternatives and where a heavy load can't be broken into smaller units and where it is not possible or practical to use two people to lift, there are ways to protect yourself from injury. BEND down to the object, bending your knees. 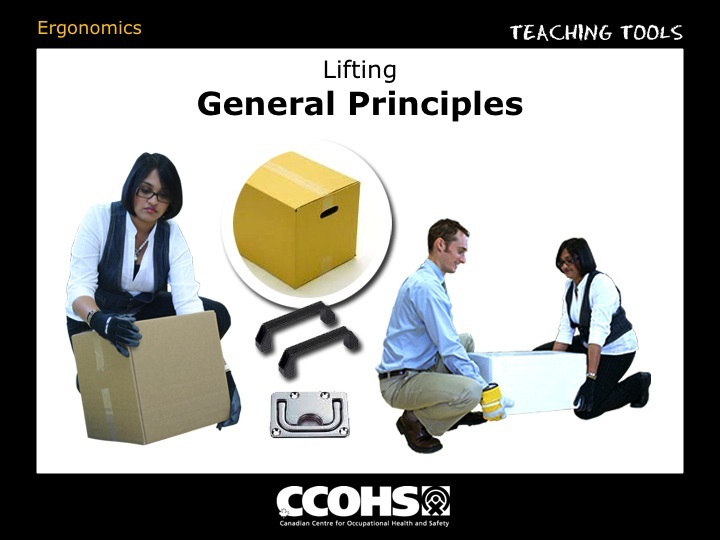 RAISE the object to be lifted upright. PUT one knee against the object. PULL the object up the leg. REST the object on the knee of the other leg. STAND up, using your legs to lift, keeping your back straight. 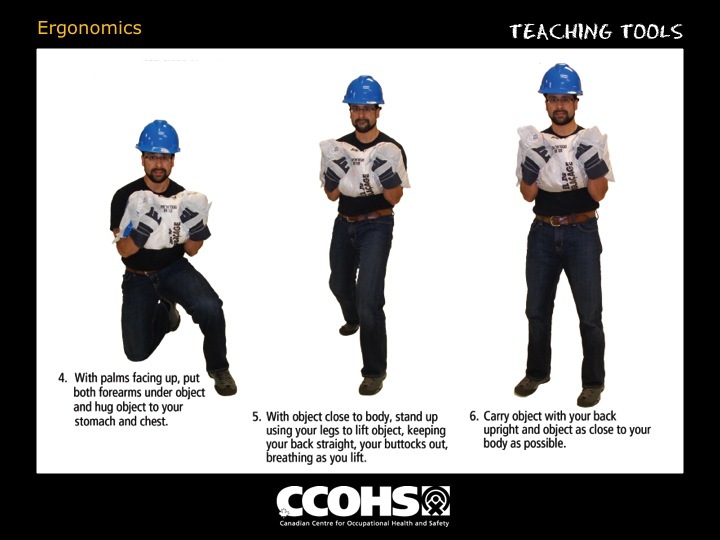 STAND upright and carry the object with your back in an upright position. CARRY the object as close to your body as possible.